We never leave our house thinking that we are going to be in a car wreck. Charlotte car accidents always happen when they are least expected. A wreck on a busy highway can occur without any warning. Whether you are driving along I-85 or I-77, or you are merely crossing a downtown Charlotte street, an auto accident can take place at any moment. A mere matter of seconds can have your life turned completely upside down. Car accidents usually result in serious injuries, major medical bills and sometimes the inability to return to work. In the worst of situations, they can lead to a wrongful death lawsuit. With medical bills piling up quickly one is left to worry about their financial stability and longevity. Our skilled auto attorneys at Brown and Moore law firm here in Charlotte, are here to help you with this burden. We fight for compensation for our clients and are here to guide you through the complex legal process. Often times, Charlotte car accidents are caused by careless and reckless motorists. North Carolina has been known as one of the most hazardous states for drivers. In 2012, the National Highway Traffic Safety Administration (NHTSA) documented 1,292 traffic accident deaths on state highways and roads. That math comes out to an average of three people killed in automobile collisions every day and many more thousands are injured. With campaigns like “Booze It and Lose It”, there is a lot of awareness of the immense dangers of drinking and driving, people continue to get behind the wheel after imbibing too much alcohol. In 2012, the NHTSA reported over 400 alcohol-related deaths on North Carolina roadways, which makes up about 30 percent of all traffic deaths. These injuries and accidents tend to be very severe because most of the time the victim has no warning. Drunk or impaired drivers are unpredictable and can swerve into oncoming traffic or hit pedestrians. Drunk or drivers who are under the influence have slower reaction times. Dealing with the aftermath of a drunk driving accident is nothing anyone should have to deal with alone. If you or your loved one has been involved in a drunk driving accident, please contact one of our experienced auto accident attorneys. Reckless drivers need to be held accountable for their wrongful actions. Our firm is ready to fight any drunk driving case and send a message to motorists that it’s unacceptable to drink and drive in our state. Those dealing with Charlotte car accidents should seek legal representation from Brown Moore & Associates. 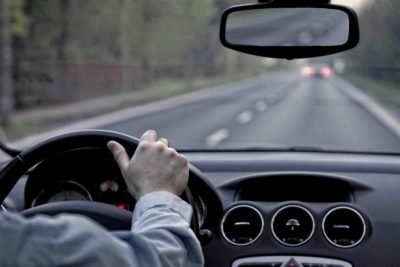 Distracted drivers account for a large portion of Charlotte car accidents that occur in North Carolina every year. Drivers who are texting or using their cell phones while behind the wheel continues to be a big issue. Texting while driving a vehicle is illegal in North Carolina. Even though it’s illegal, texting and driving is something we all see everyday. Other examples of distracted driving include eating, drinking, grooming, playing with the stereo, paying too much attention to other passengers, daydreaming and sometimes rubbernecking. Rubbernecking is when a driver is so consumed in looking at another collision or law officers that they do not pay attention to their own driving. Whether it is texting while driving or another form of distracted driving, our legal team has you covered after an auto accident. Our auto attorneys know how to obtain cell phone records and other evidence that might otherwise be overlooked in your specific case. We are familiar with medical experts that can determine the long-term costs of your injuries. A reckless driver could be driving recklessly due to “road rage” or being angry behind the wheel. Sometimes drivers speed excessively if they are running late or have a deadline. Reckless driving can be a broad term for many specific instances. It is best to speak with a skilled car accident lawyer to go over the specifics of your case and give it the personalization it needs to earn you compensation. When someone is overly tired or fatigued, they are prone to making more mistakes while behind the wheel than someone with adequate rest. This often happens with large commercial truck or tractor-trailer drivers where they drive for long hours and do not take the necessary amount of breaks. Someone who falls asleep behind the wheel can do immense damage to other motorists and pedestrians. These cases can be difficult to prove in court and we recommend gaining competent legal counsel in order to be properly compensated for your injuries. At Brown Moore and Associates, we are compassionate and understand how devastating and traumatic a car accident can be to you and your family. The at-fault party may say they are not to blame and the insurance company may act like they are on your side just so you accept a smaller settlement. Our skilled car wreck attorneys have experience dealing with large insurance companies. We have the resources and know-how to fight the insurance companies to ensure that you receive proper compensation for your injuries. Our firm has been helping North Carolina residents with Charlotte auto accidents for years. We handle a broad spectrum of car accident cases and are always here to fight for the rights of you and your loved ones. Please contact our office today to inquire about a free consultation with one of our skilled North Carolina auto accident attorneys.